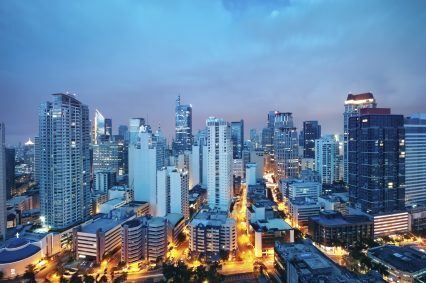 The Filipino government’s efforts to improve its infrastructure were this week boosted by two large and separate lending packages. The Asian Development Bank (ADB) approved a loan of US$600mn to the country, designed to encourage private sector investment in infrastructure projects there. The loan has two tranches of US$300mn, the first of which is set to promote public-private partnerships (PPP), a form of financing that has struggled to gain traction in the Philippines, and in Southeast Asia generally. The second loan “supports policy changes to deepen the non-bank financial sector to unlock more long-term private funding for infrastructure”. Reading between the lines, the rhetoric suggests that the commercial banking sector is still failing to step up to fund the country’s infrastructure plans. Currently, it is ranked 95 of 144 countries on the World Economic Forum’s Global Competitiveness Report. Difficulties the sector face include accessing finance, designing the infrastructure and completing legal and regulatory frameworks. The government also secured a €1.8bn loan from the Japan International Co-operation Agency (JICA) – a lending arm of the Japanese government that often supports Japanese companies overseas. The loan will help construct a new railway line in Manila: the North-South Commuter Railway Project. Project sponsors hope the line will assist with congestion in the capital, the population of which has grown from 12.39 million people in 1990 to more than 23 million (figures for the metropolitan area). The loans are concessionary, carrying low but undisclosed interest rate, and are disbursed on the understanding the Japanese technology such as “construction techniques for elevated railways, efficient signal systems and rolling stock will be utilised”.